The Service Department at Silko Honda is one of the most advanced and accommodating in the Plymouth area. And thanks to the Honda service specials available throughout the year, more drivers from Easton can take advantage of our top-notch service team. If you need to get your car serviced but don’t want to spend an arm and a leg, rely on the Silko Honda service department. We have a rotating variety of oil change exclusive offers, brake service coupons, and more, so you can be confident that you’re getting a good deal on service. Routine maintenance is essential for your Honda, so we don’t want you to put off auto repair because it’s too expensive. After you view our auto repair coupons online, make your way from Taunton to Raynham – we want to keep your car in the best condition possible! Questions? Contact us today. 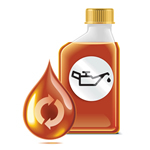 Buy 1 Get 1 Express Oil Change with 0W-20 Full Synthetic Oil! 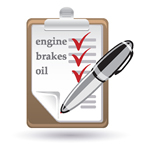 It’s a quick oil and filter change with a FREE 19-point inspection. It’s fast, competitively priced, performed by Honda factory trained technicians and Honda Genuine Parts. Why take your car anywhere else? Prices may vary by model. Plus taxes and fees where applicable. Additionally prices are subject to change without notice. Please present coupon during write-up. Not to be combined with any other discounts. Valid through 4/30/19. We use our wipers more than we think and they take a beating. 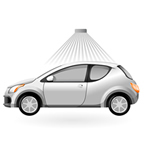 Seeing streaks and smears on your windshield is a good indicator that its time for new wiper blades. Prices may vary by model. Plus taxes and fees where applicable. Please present coupon during write-up. Not to be combined with any other discounts. Valid through 4/30/19. Don’t let potholes and other road hazards stand in the way of your vehicle’s safety and reliability. If your vehicle has been beaten up by New England roads, it’s time to take advantage of our Pothole Service Special. 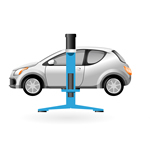 Let our Honda-trained technicians ensure that your wheels are properly aligned. You’ll notice the difference immediately! Talk about safety. 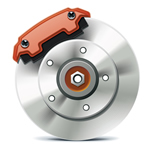 Let our factory trained technicians replace your brake pads with ones that are designed by Honda just for your car. Ask your Silko service advisor for details! Does not include resurfacing of rotors. Do you hear – grinding, squealing, squeaking? Let our factory trained technicians inspect and replace your brake pads with ones that are designed by Honda just for your car. Includes Rotor Resurfacing. Ask your Silko service advisor for details! 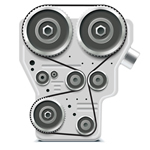 Simply put, a broken timing belt can cause your engine to stop running. Our Honda-trained technicians will install a Honda Genuine timing belt and set the ignition and timing speed. We’ll also inspect the water pump, camshaft, crankshaft seals and other belts. And you will drive off with the peace of mind that you had when your Honda was brand new! Treat your Honda to a day at our Spa! We’ll professionally clean the exterior of your car, and by the time it’s done, we might just want to roll it into our showroom! Oh yes, you will feel so much better yourself in your newly cleaned surroundings. Don’t trust just anyone to perform major maintenance on your Honda. Our Honda-trained technicians know your Honda, and you can feel confident the job will be done right – the first time. A well-maintained vehicle can prolong the life of your investment and protect your resale value. We'll take ANY Competitors Coupon! That’s right, we will honor ANY competitors’ coupon for the same service. Must be valid offer. Cannot combine with any other coupon or offer. Must present competitors coupon at time of service. Vehicle maintenance happens according to a schedule. For instance, you should get an oil change every six months or 5,000 miles. Be sure to bring your vehicle to Silko Honda for maintenance as soon as it becomes necessary. You should also get immediate attention if you have any reason to believe your vehicle is not performing perfectly. The longer you wait, the worse the damaged becomes. At Silko Honda we understand that getting vehicle service can be an inconvenient hassle. That is why our Service Department is open early six days a week. Simply find a time that is convenient for you. Then take a quick minute to schedule service. You are locked into our system, and the work starts as soon as you arrive for your appointment. 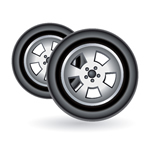 If you are visiting for something routine like a tire rotation, you should be in, out, and back on the road in no time. Caring for your car should not have to bust your budget. We help more drivers save by offering generous Honda service specials that apply to the services drivers most depend on. It’s easy to save and get a superior level of service at the same time. Be sure to check our service specials often, because they change regularly, and you don’t want to miss out on a great deal. There is no job too large or too small for our Service Department. And no matter what kind of assistance you require, from a simple oil change to fixing your check engine light, we are eager and able to deliver exceptional service to customers and cars alike. Do not hesitate to contact us at any time to connect with a member of our service team.